Join the exclusivity community of top performing students from around the world. This platform is a great place to advance your academic and professional development. Only on RoundPier can students easily discover and interact with their peers, organizations, educators, and academic institutions from around the world, as well as apply for out of school projects, internships, jobs, summer programs, and more. The RoundPier app is free to use and download. Use it to better increase your chances of realizing your academic and professional goals. RoundPier is a group of entrepreneurs, educators and technology enthusiasts but most importantly parents and students on a mission to create a unique global education community. Our dream for RoundPier is to be the dedicated community where all can come to connect, share, interact, learn from one another, and find opportunities such as internships, after school projects, joining a program, and more. We want to eliminate the fear of missing out and increase the hope of better reaching one’s full potential. Seems okay, needs a bit of tweaks! The app seems okay so far, however it is new and there are already a few problems! When you first fill out the required information, one of the boxes says "Location intiotution" when it should say "Location institution". If you submit the required fields without filling each in, a message pops up saying "please fill all fealds". It should read "please fill all fields". When choosing a location, the search results never load. This may be a problem on my end, but will not load. Also, if you click out of this box, the information you entered switches to another box for some reason! I cannot get past the first page because it will not allow me to enter the information. As soon as it works I am looking forwards to trying the app! 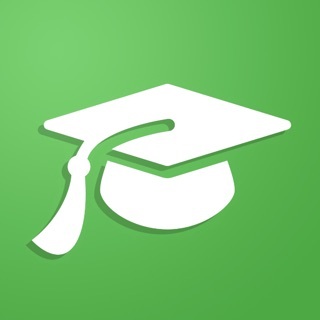 Great place for students to build an online profile of accomplishments and network with their peers and colleges. Can see this being a valuable tool to help students learn from others and get advice on classes and programs. Really love this application, can truly enjoy the Mobile version. Great for patents and kids. Tons of useful and much needed information at your fingertips.